Neck pain is extremely common, as it ranks fourth of all conditions that are responsible for causing disability. As a result, neck pain is also one of the most common reasons that individuals seek out treatment, and the majority of them go to their primary care doctor for an evaluation. Doctors usually recommend medication, additional testing, a referral to a specialist, or some combination of these interventions, but evidence is lacking to support many of the approaches that are used. On the other hand, recently published guidelines recommend many of the interventions used by physical therapists for neck pain—such as education, stretching exercises, and manual therapy—as research has found them to be effective for reducing patients’ costs and their use of healthcare. Seeing a physical therapist early is also generally recommended, but research evaluating how the timing of going to therapy affects costs and healthcare usage on neck pain patients is lacking. For this reason, a study was conducted to investigate the impact of seeing a physical therapist at different points in time on costs and healthcare use. To conduct the study, researchers scanned medical records to identify patients with neck pain who sought out care from a physical therapist, and they found 308 that fit all the necessary criteria. Once the patients records were collected, the researchers divided them into three groups depending on when the patient consulted with a physical therapist: 1) early physical therapy (for those who saw a therapist within 14 days of first seeing a medical professional), 2) delayed physical therapy (between 15-90 days), and 3) late physical therapy (91 days or more). Using these groups, data from the patients was then analyzed to determine if there were any associations between the time it took for them to see a physical therapist and their overall usage of healthcare services over one year. They particularly focused on opioid prescriptions, spinal injections, and imaging tests (X-rays, MRIs, and CT scans), as well as the overall costs of these services for each patient. Of the 308 patients in the study, 160 (52%) consulted a physical therapist within 14 days for their neck pain, while 74 (24%) did so in 15-90 days, and 74 (24%) waited for more than 90 days. 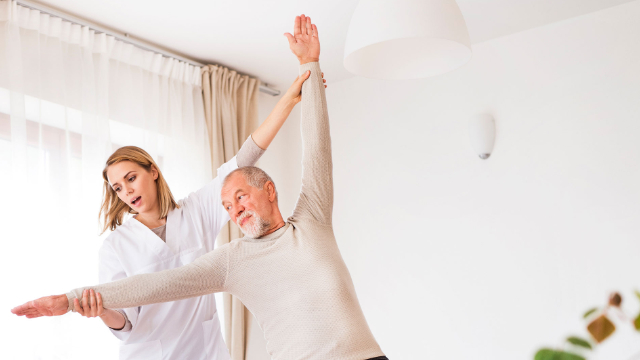 In general, results showed that those who saw physical therapist early typically underwent fewer treatments and tests, and spent less on their care compared to those in the “delayed” and “late” groups. More specifically, it was found that consulting a physical therapist late (>90 days) for neck pain was associated with a more imaging tests, spinal injections, and opioid prescriptions, all of which added up to more healthcare utilization. In addition, patients in this late physical therapy group spent an average of $2,172 more on healthcare over one year compared to those in the early physical therapy group who consulted within 14 days. Taken together, these findings suggest that when a patient sees a physical therapist early for their neck pain rather than waiting, they may be reducing their chances of undergoing tests and treatments that may not be necessary, and saving on healthcare costs as a result. Patients who currently have neck pain are therefore encouraged to consult with a physical therapist as soon as possible so they can get started on a personalized treatment program right away while avoiding additional interventions that have questionable value. Copyright 2019 Terrapin Physical Therapy , All Rights Reserved. Powered by E-Rehab.